Is a process by which materials are collected and mixed together for processing at a Materials Recovery Facility (MRF). This is for SECCRA's drop-off centers only. 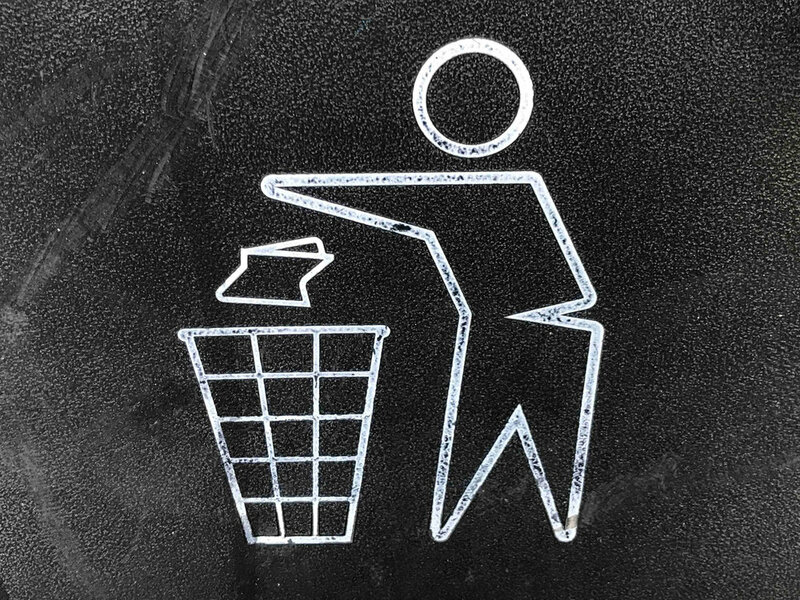 If someone picks up your trash and recycling, ask them for their specific rules and methods for recycling. While it may be frustrating that some of the items you may have such as 5-gallon buckets and other materials may have a recycling symbol on them, or you know that they are made of materials that can be recycled like aluminum siding, we can ONLY accept items that are on our "included" list below. Our recycler is only set up to process the materials of the size and shape of those indicated below. Why is this? We apologize for any inconvienence. 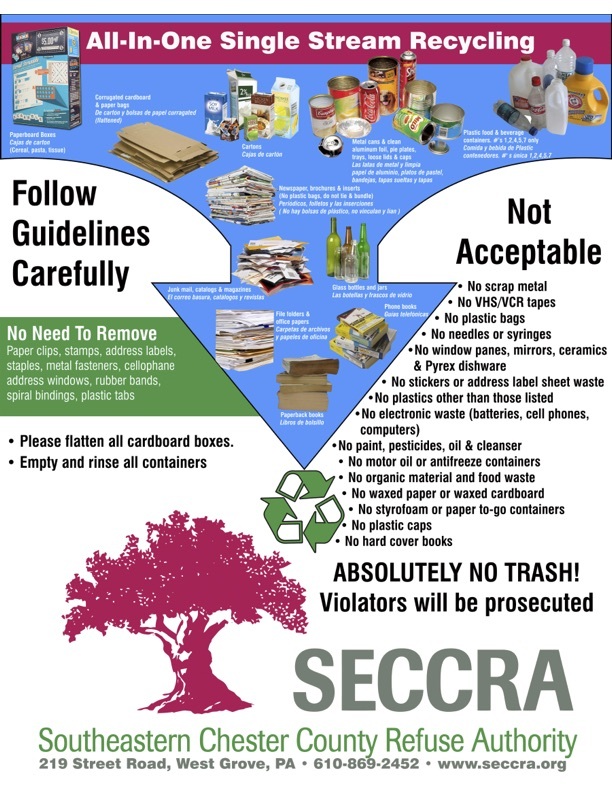 What happens to the single-stream recycling once it’s collected by SECCRA? Once the single-stream materials are collected by SECCRA they are taken to either SECCRA's Intermediate Processing Facility (IPC), where it is loaded into tractor-trailers, or directly to a MRF. What happens at the MRF? 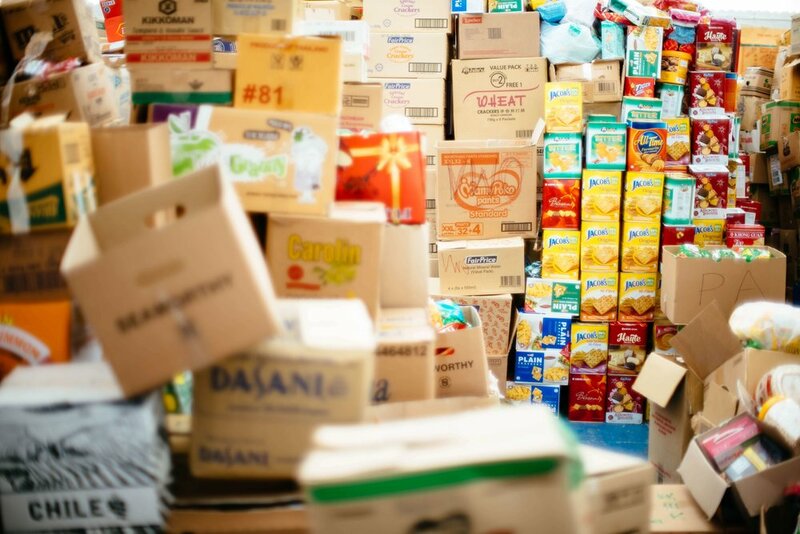 The MRF uses a system of sorting mechanisms (machines and people), which divides the recyclables into different categories. Once things are separated what happens to them? Once the recyclables have been separated at the MRF, they are then sent out to the different "markets," where the actual recycling of the material happens.